Well the title of this post gives a pretty big clue as to what our latest life news is. That is right - we are leaving London and moving to Cardiff! Writing those words and making plans to leave (we leave in just 4 weeks!) has turned me into a big ball of mixed emotions and I think I feel equal amounts of excitement and sadness. London has been so good to us. My husband and I met here, have built our lives here - we had our son here. We have been through so much together in this amazing city from first dates to bringing our newborn home from the hospital. It feels so hard to be leaving all that and not to mention all of the amazing friends we have made in our nearly 10 years of being here. Neither of us ever really imagined staying in London for ever...it never really seemed like a viable option for the very long term and although it has all happened sooner than I expected everything has slotted into place and it feels like the right time to jump ship from this big city. We are both city dwellers for sure, and I have never really dreamed of living in the countryside...but I am looking forward to living in a smaller city - one that takes less time to get around but where the countryside and the sea are much easier to access. I am also excited about what this means for my small business. London is an expensive city to live in and by moving to Cardiff there is more flexibility in terms of my job. So I won't be going back to a 9-5 job after finishing my maternity leave - instead I will be doing something that I have dreamed of for a while and going it alone as a freelance designer. I am excited and apprehensive but mainly just ready to get stuck in. I won't be doing the freelance thing full time but will be fitting it in around looking after Reuben and I am so glad that I will still be able to spend lots of time with him and hopefully be flexible with my work depending on what he needs. We will be near family who will be able to help out with childcare and NM has a new job which he is excited to get stuck into too. Leaving something is always hard. And if it wasn’t hard there would probably be something wrong. It reminds me that we have really invested in our relationships and friendships here and that has been an amazing thing, so it's natural to not want to leave that. 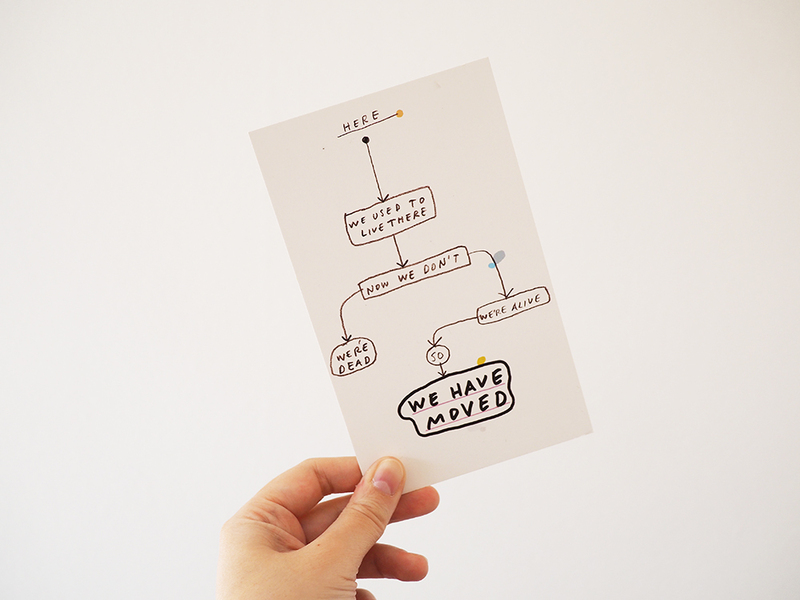 But I am embracing the motto on a print I used to have in my shop - ‘Change is Exciting’. I am excited for lots of adventures ahead of us and new opportunities that weren’t possible while living in London. We leave in 4 weeks and we will start off living with my parents for a few months until we can find ourselves a house. I am spending all of my time on rightmove and pinterest right now! If you live in Cardiff and have any tips of places to hang out (it has been over 10 years since I lived there last!) or fancy being friends in real life instead of online friends just let me know! Hope you are all having a great week and there is some spring sunshine where you are today!